This has been bugging me for some time now. My volume control is “flaky.” When I turn it down, it either doesn’t do anything or it starts getting louder. By messing with it, I could make it go down, but not before it was so loud I thought I would blow the speakers. Time to fix it! My search found this post on Allpar.com by by Jeremy Schrag, which seemed like a good starting point. However, it was just a starting point! 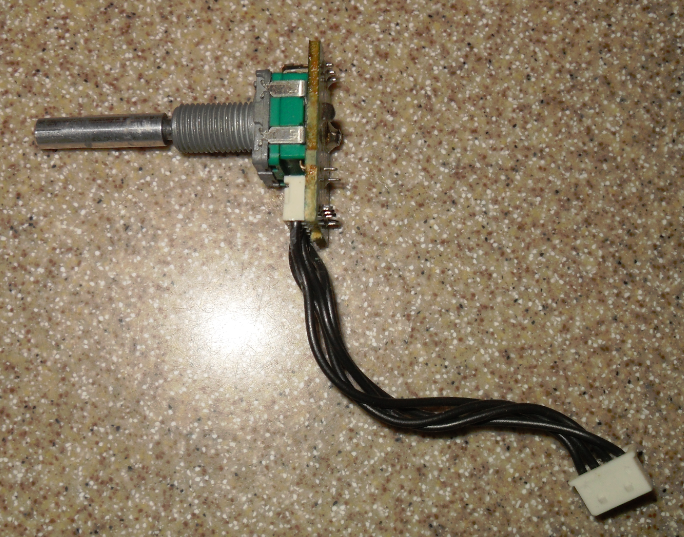 I had to do quite a bit of disassembly to get to the volume control. My deck is a six disk CD changer/cassette deck combo. It doesn’t have a single disk CD in it. So, of course, my volume control was harder to get to. After removing the radio (not hard, 10 minutes, be careful and don’t bust your trim), you must remove the knobs as Jeremy describes (20 seconds). 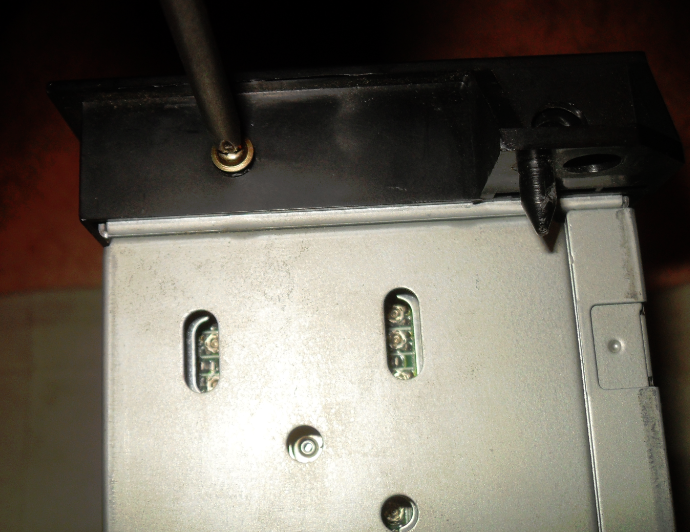 Then remove the four screws holding the faceplate on (two screws on each side). 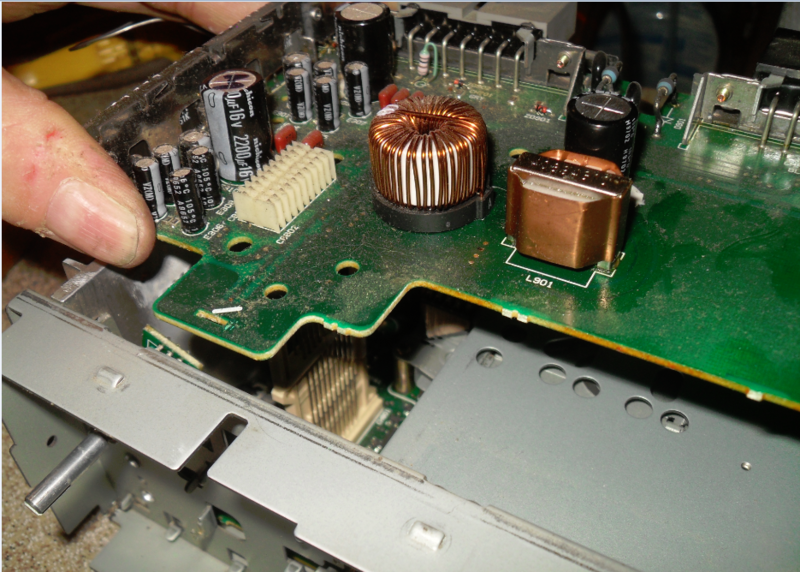 Carefully pry the faceplate off (after removing the four screws), as there are clips on the top and bottom that must be released. 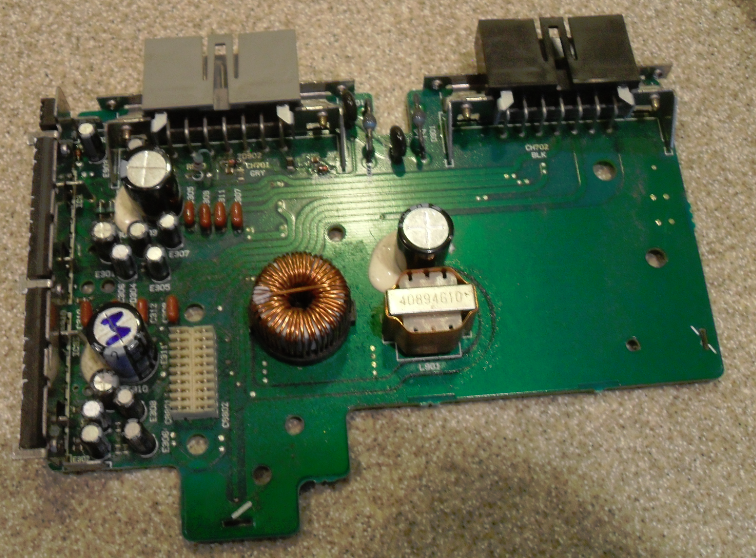 Once you get the faceplate off, you’ll see the first circuit board you’ll have to remove. There are four tabs (bent) that hold it in place. 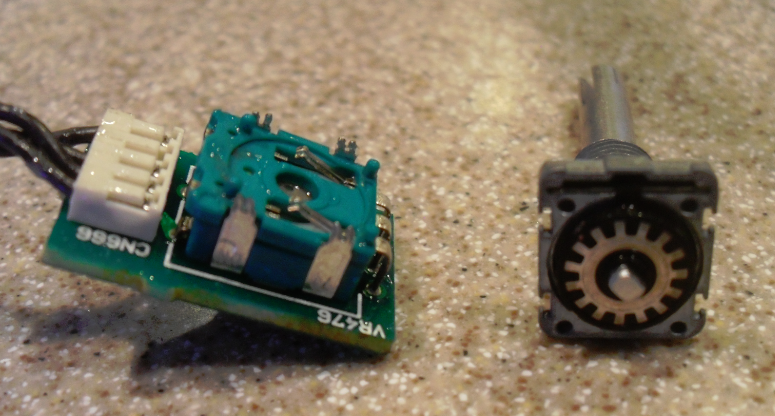 Two are soldered. You’ll have to de-solder them and bend all of them straight to remove. Here the trick! 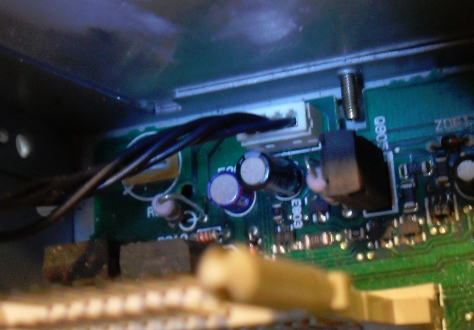 At the bottom of the cassette hole, there is a connector that this board plugs in to. You must slowly wiggle it free from the connector. Take your time and be patient! See the other photos. 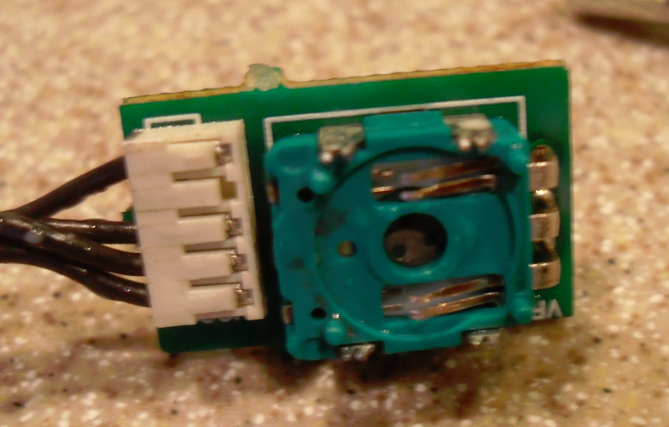 Here’s the connector that has pins on the back of the circuit board that stab into it. 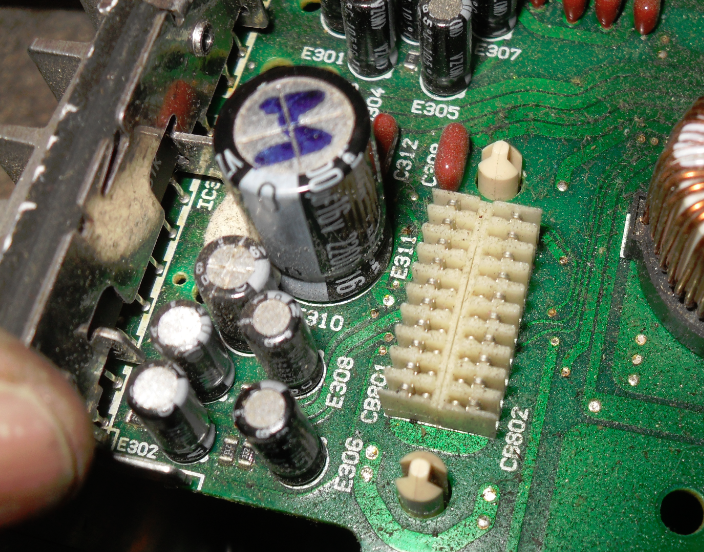 Fuzzy photo showing the connector pins on the back of the circuit board. 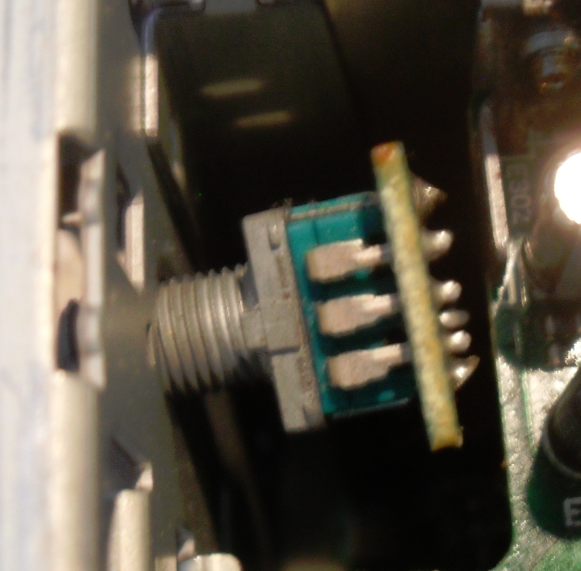 Now you’d like to remove the nut holding the pot (potentiometer) and take it out, except there isn’t enough room in the back to remove it. 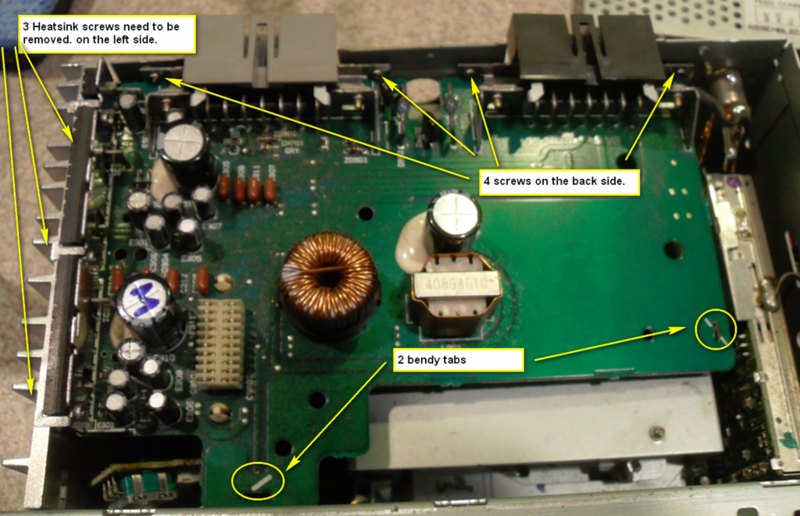 So you have to remove the top circuit board. 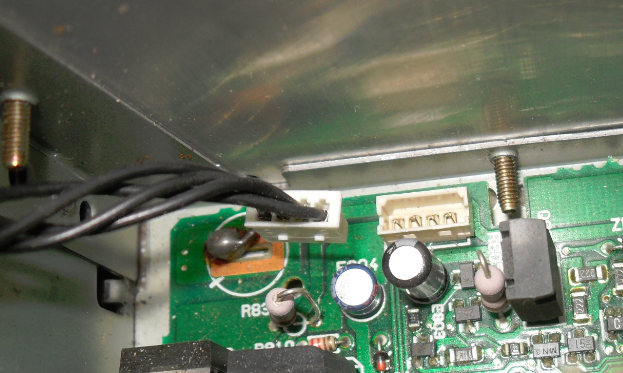 Remove the top of the radio chassis by removing the two screws on the back and you can see what I mean. The shaft is too long to push it back through and remove it. No problem. 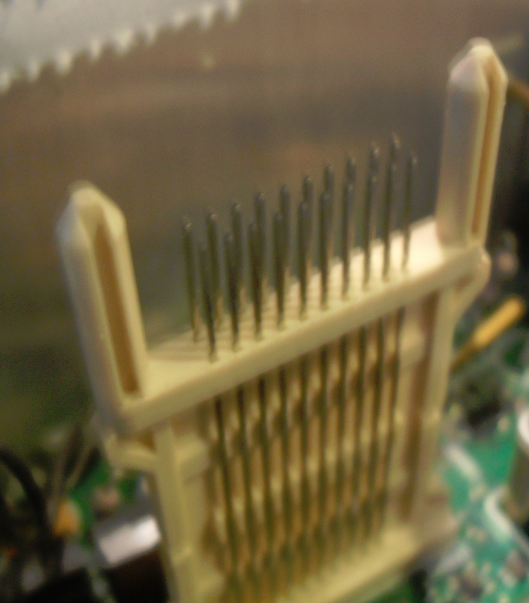 Remove three screws on the heatsink side and four screws from the back side. Un-bend the tabs. Now you can start carefully prying the board out. Take your time! 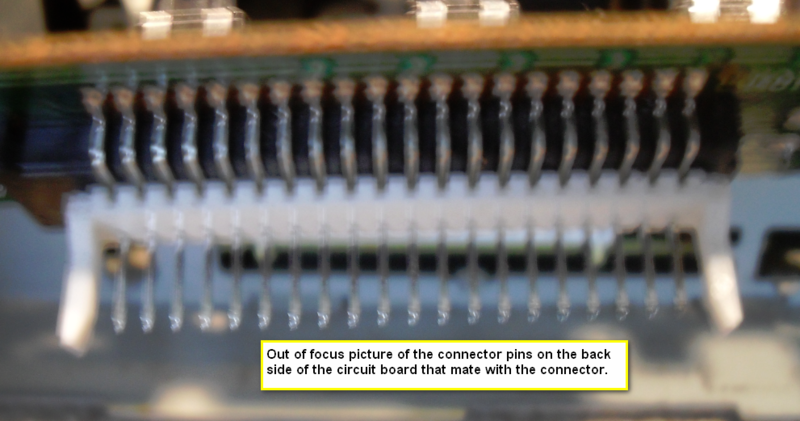 There are more pins that mate with a connector on the back side of the board, so you’ll have to carefully wiggle the board loose from them. Here’s a picture of the mating pins. 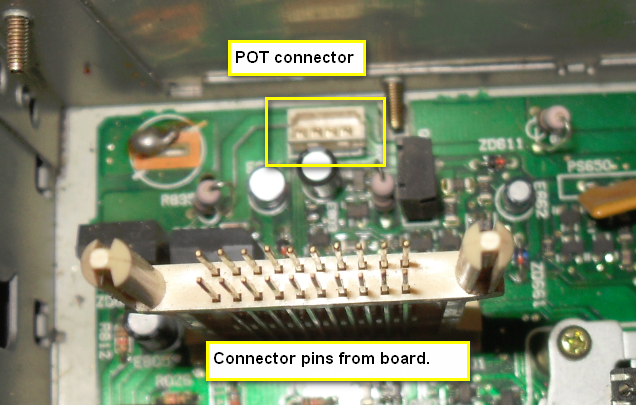 Note the connector for the POT that has been removed. All removed. 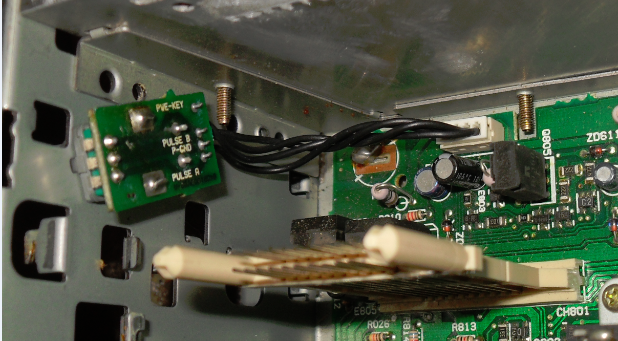 Pay attention to the thermal grease on the heatsink and don’t wipe it all off. Now you can get to the POT connector and unplug it. Remove the nut from the POT and the whole assembly will come out. 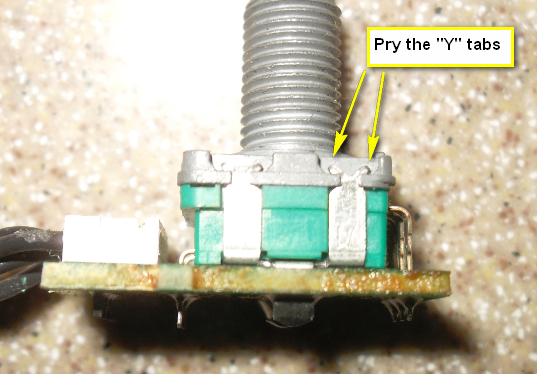 Pry the “Y” tabs using a small jewelers screwdriver. Once the are all straightened you should be able to separate the halves. 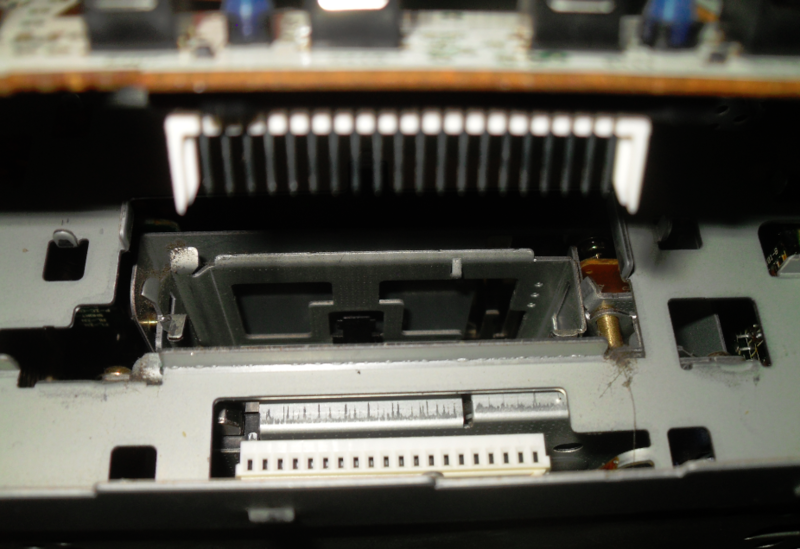 Time to use your contact cleaner (I also used a small eraser on the disk contacts). Don’t mess up the spring contacts! 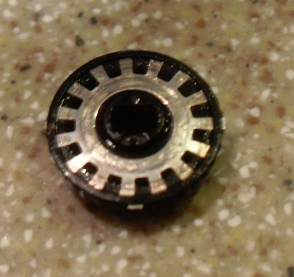 Here’s the contact disk removed and cleaned. I used “professional” contact cleaner. Now assemble the halves and pry the “Y” tabs back. 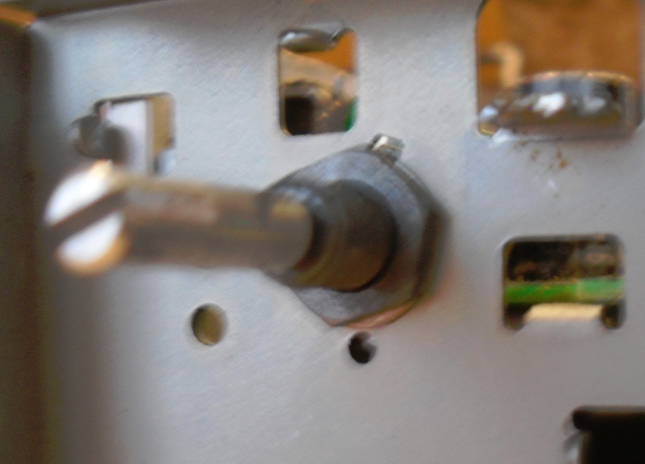 Plug the POT back in and assemble it to the chassis with its nut. Be careful not to over tighten and break anything! 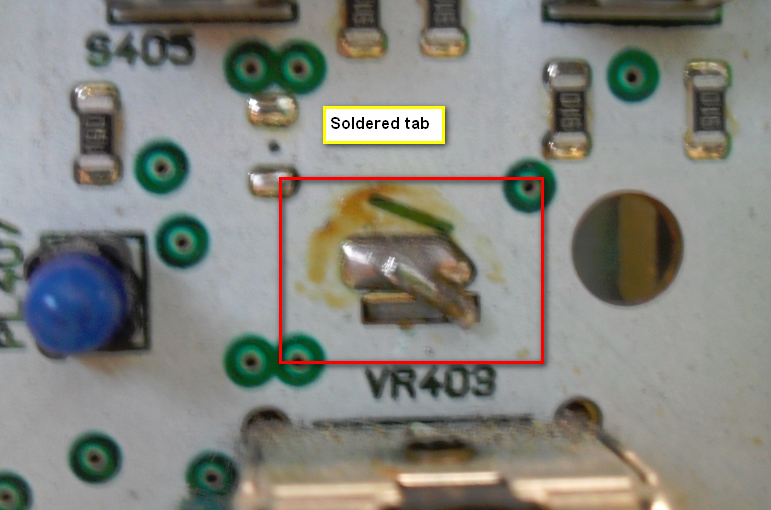 Put the top circuit board back, using your screws and tabs. 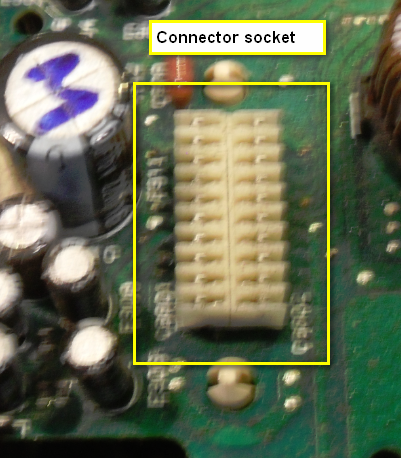 Make sure the connector pins line up and seat correctly. 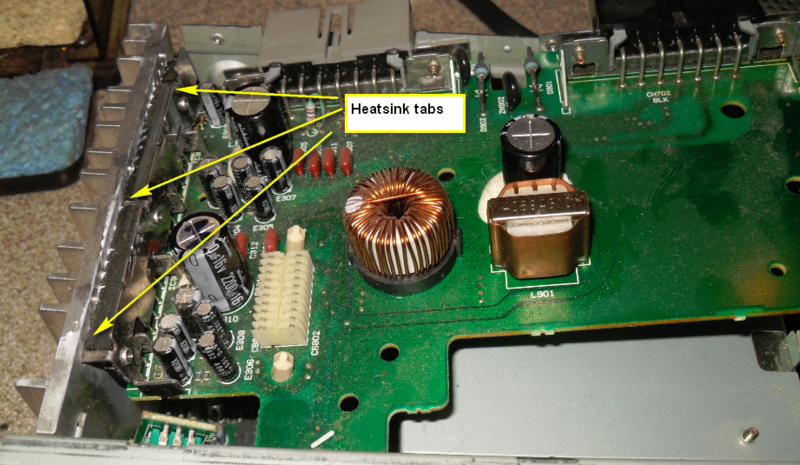 I put it back in place by angling it in, insuring the heatsink tabs were inserted prior to the connector being engaged. Put all your screws back on the back side. 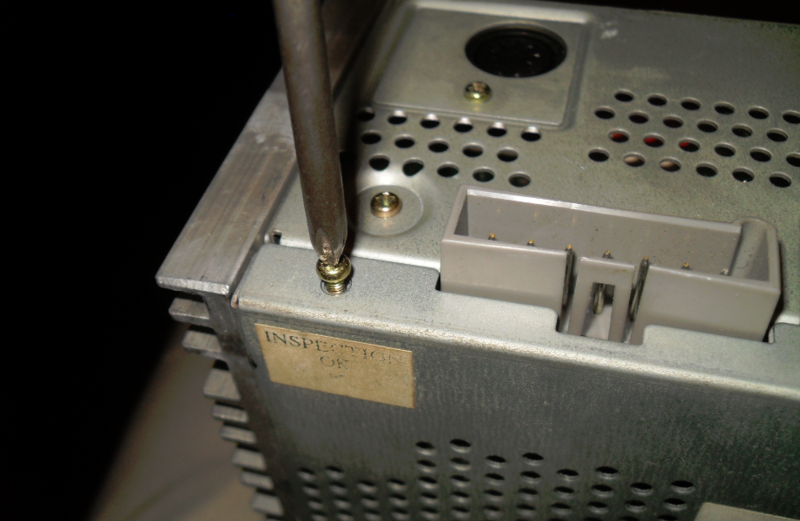 Put the top on and secure it with its two screws. 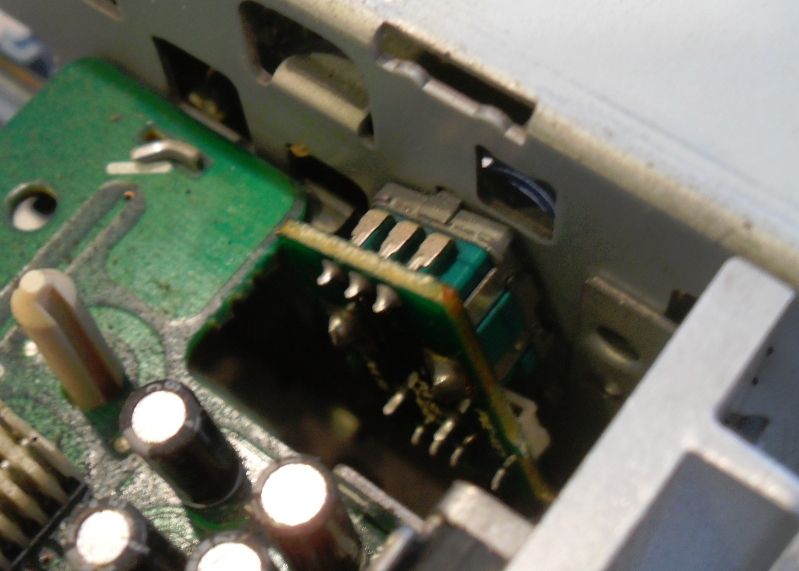 Put the front circuit board on and engage its connector. Bend all four tabs and solder the two that were unsoldered previously. 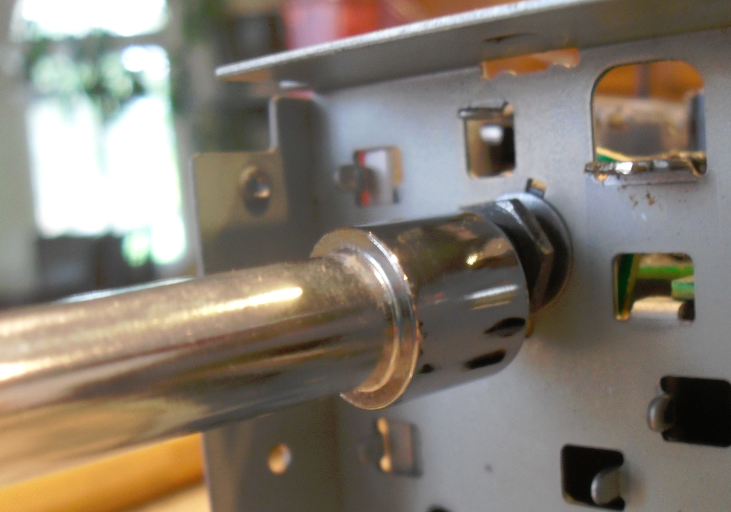 Put the faceplate back on and secure it with its four screws and you’re all done! 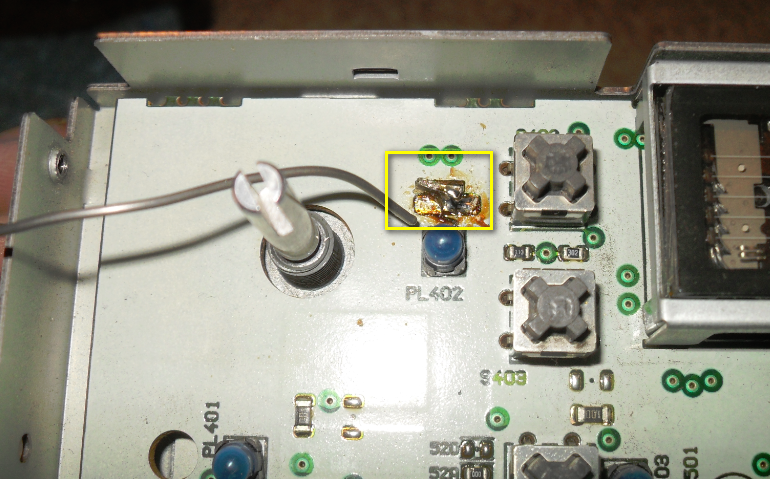 This entry was posted on October 13, 2012 at 9:45 pm	and is filed under Auto Repair. You can follow any responses to this entry through the RSS 2.0 feed. You can leave a response, or trackback from your own site. Hats off for a fantastic DIY write-up. 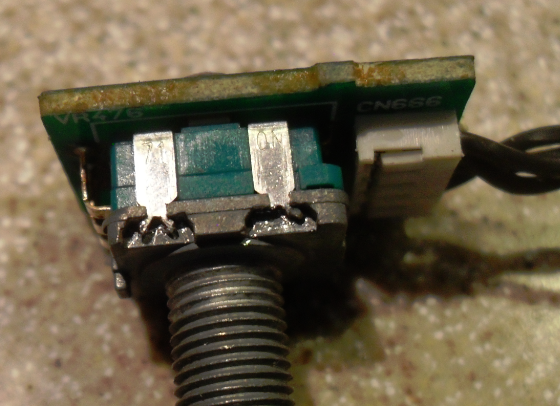 I followed the instructions and, after wrestling with the Y clips on the potentiometer for a bit, managed to get everything disassembled, cleaned and reassembled as directed. 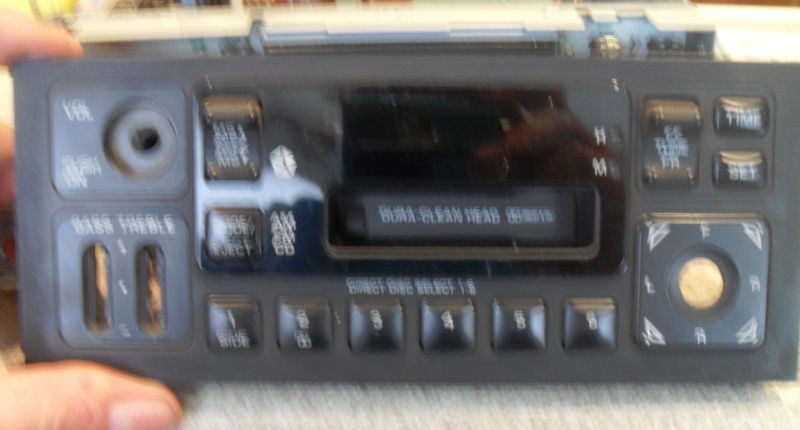 Install the radio and voila, the volume knob works like new! The unfortunate thing for me is that my volume control has started acting up again. I hope your fix lasts longer than mine has.